NASA, working with the module’s builder Bigelow Aerospace, will complete an engineering review and re-attempt the expansion on Friday. The Bigelow Expandable Activity Module, BEAM, is the first of its kind to be tested in a human environment. Launched aboard the Dragon SpX-8 spacecraft on April 8 and installed on the Station on the 16th of April, BEAM is set for a two-year stay for a detailed study of the behavior of the module in the challenging space environment with extreme temperature changes and micrometeoroid impacts. 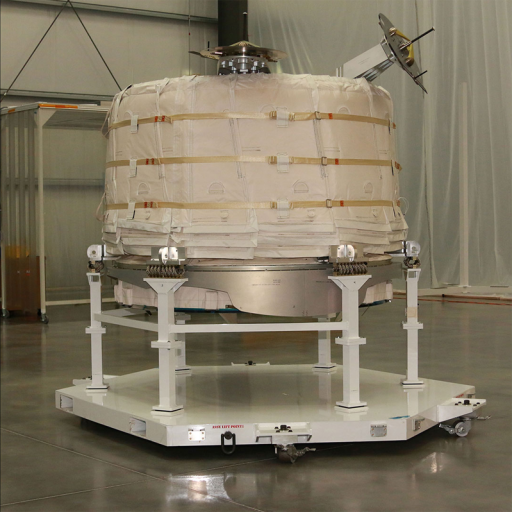 For over a month, the module sat dormant in its new location, measuring 2.4 meters in diameter and 1.7 meters in length – awaiting deployment to a size of 3.2 by 4.0 meters. Deployment was set for a period of high beta angles, offering long periods of sunlight to allow external cameras to document the expansion of the module that was to be completed in stages to permit a detailed study of expansion dynamics which will be relevant for larger expandable structures flying in the future. Bigelow launched a pair of Genesis pathfinder modules in 2006 and ’07 that demonstrated expandable habitat technology, but as free-flyers, their expansion was not viewable from the ground, leaving some unknowns in Thursday’s planned BEAM expansion. 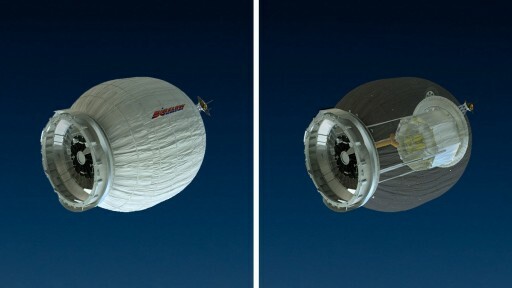 Four models of how the deployment may occur were developed and engineers were eager to verify which one was accurate for simulations of deployment dynamics on larger modules. 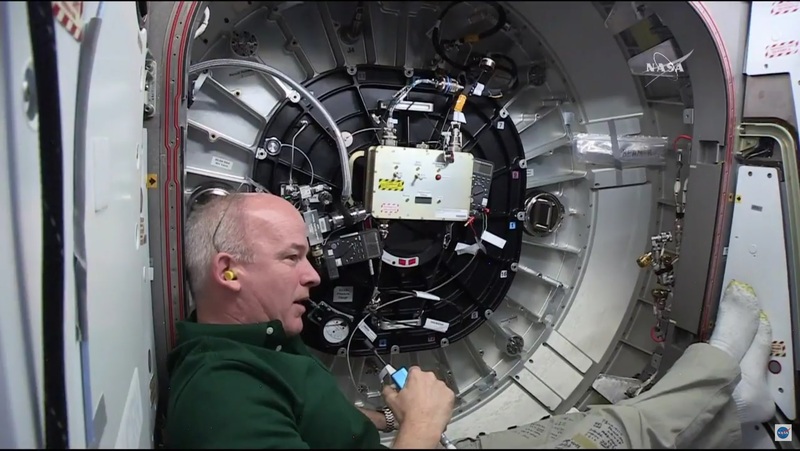 Preparatory steps for BEAM’s deployment were started last week and Tuesday saw the pressurization and leak check on the Common Berthing Mechanism of the module, allowing the Node 3 hatch to be opened on Wednesday for the final setup steps ahead of expansion. In charge of BEAM expansion operations was NASA Astronaut Jeff Williams using a specially fabricated controller set up in the Node 3 module. The first of five steps in the process of deploying BEAM was the closure of the Ascent Vent Valve that ensured the module remained at vacuum when riding into space. Next, Williams commanded the pyrotechnic cutting of launch straps that kept BEAM in its tightly packed shape during launch and and installation on ISS. Each strap was outfitted with a pair of NASA Standard Initiators and Williams verified that at least one NSI per strap was fired to to free up the module for expansion. The last pre-expansion step was the release of the forward bulkhead by commanding bolts to release, permitting the bulkheads to move apart when air was introduced into the module. No issues were encountered with the first deployment steps, but the actual expansion proved to be troublesome. 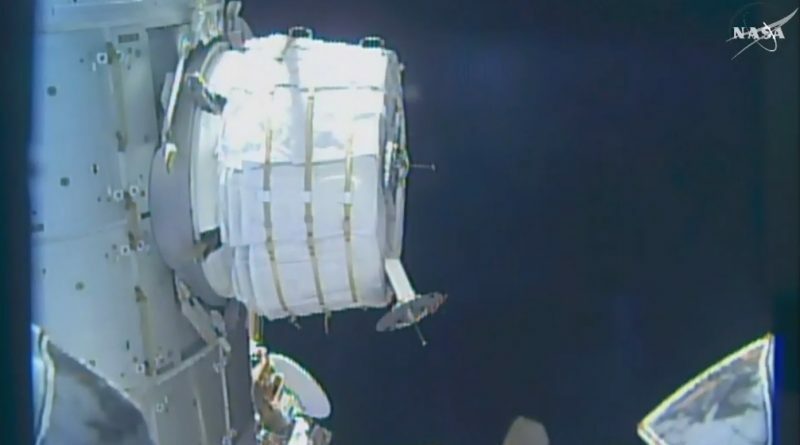 Expansion of BEAM was to be completed by introducing air into volumes between the inner and outer walls of the module to allow it to enter its deployed configuration. Williams manually opened the Pressure Equalization Valve on the CBM of BEAM for a specified period of seconds to carefully control the volume of air introduced into the module and the associated build-up of potential energy within it. As a result of air being allowed into the module, pressures began rising though were expected to gradually lower as the structure expanded, but the initial expansion was not as expected. Pressures eventually climbed above the pressure vs. expansion curve plotted out by engineers, prompting some head scratching at Mission Control. The concern arising when reaching higher pressures is a sudden, rapid expansion of the module instead of the desired gradual deployment. 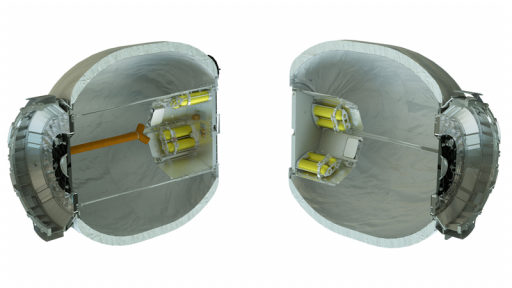 The original BEAM design called for the module carrying its own pressurization bottles, but analysis showed that expansion could occur rapidly when using this system and overstress the structural interface between BEAM and ISS. Therefore the more careful approach of slowly expanding the module with ISS air was chosen. After reviews, Mission Control allowed Williams to introduce more air into the module, but no visible expansion was detected. 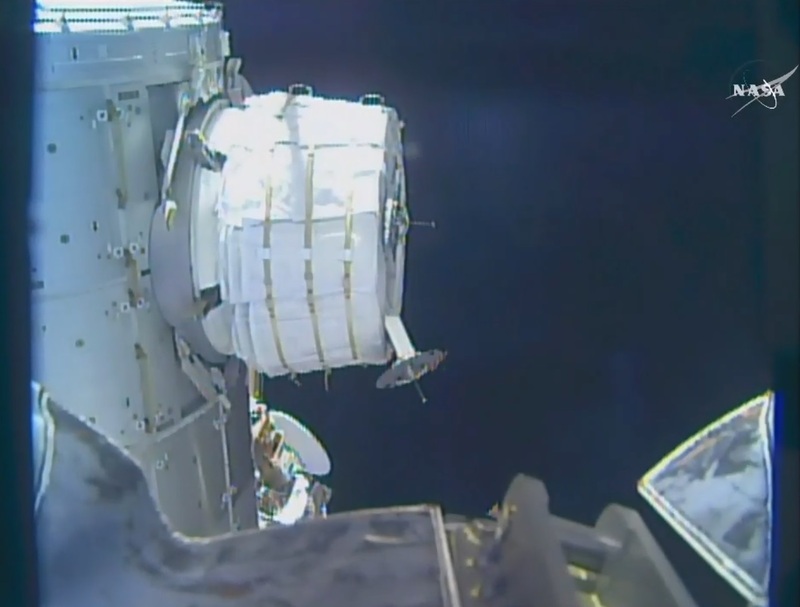 The Station’s robotic arm had been placed in a viewing position and a grid was placed over the video to measure the expansion of BEAM, though no further change in size was detected after the initial bulging of the module, despite the higher-than-planned pressure inside. NASA and Bigelow Aerospace decided to abandon Thursday’s deployment operation and take additional time to look at the situation. Resumption of BEAM’s expansion is planned for Friday, pending the outcome of engineering reviews.